How smart is your chihuahua compared to other dogs? Anyone who has a chihuahua knows they are intelligent and sassy. But just how smart is your chihuahua when they are compared to other dogs? Chihuahuas have the biggest brain to body size ratio of any dog breed, but they are not ranked top intelligent dogs. In fact, they come in at around 67th in the smart dog list. The intelligence of all dogs is measured in different ways. This is what the dog was bred for. For example; a herding dog that can instinctively round up animals or a gaming dog will collect the birds from a hunt. Chihuahuas were originally bred as ratters, but have an instinctive ability to guard. But, although you do see chihuahuas ‘working’ in general they are now bred as companion dogs. Adaptive intelligence is what the dog can learn to do for himself. Adaptive intelligence can differ between dogs of the same breed. We see this with Mika and Minnie. Minnie can’t work out doors. She will just stand there and bark, but Mika can both push and pull a door. We didn’t teach him that, he just picked it up. This covers what the dog can learn to do when instructed by humans. Commands such as sit, stay and paw. Working and obedience intelligence is measured by how many repetitions it takes for your dog to react to a command. This is where Minnie excels. She is always keen to learn something new and takes very little time to pick up a new trick. But, Minnie is much more submissive and eager to please and very motivated by food treats. So, its easier to get her to do something. 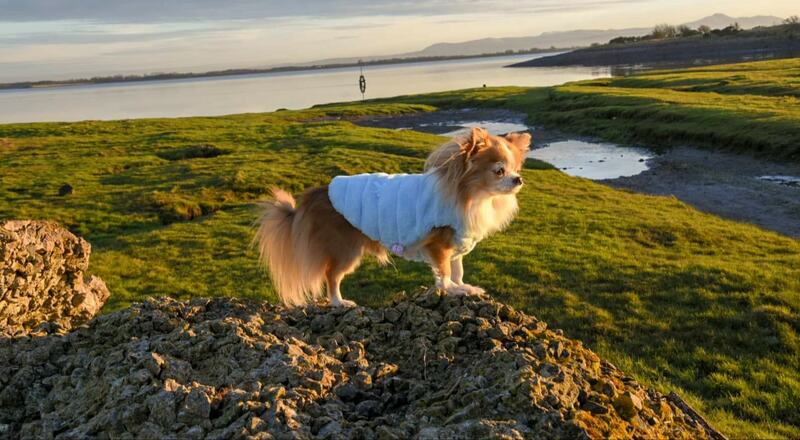 Mika has little interest in pleasing anyone and has the famous chihuahua stubborn streak. He does not do sit or paw and it must be a very high value treat to keep him interested. So, it’s hard to measure your dogs working intelligence based on what you can teach them as it does have a lot to do with their personality. If your chihuahua is not interested in pleasing you does that make him more or less intelligent? Does your chi display empathy? Most people who have a dog will say that they display empathy. That is being aware of the emotions of others. If you are upset or ill, then will your dog try to comfort you by licking your face, coming in for a cuddle or bring you toys? Some scientists believe this is just your dog looking out for themselves, they notice a change in your demeanour and come over to investigate to make sure you are still an effective pack leader. They suggest as humans, we put our emotions onto our dogs and see what we want to see. But, based on the evidence of our dogs I feel they do have some level of empathy. Mika will display a mild interest if I am upset but Minnie will be beside herself. 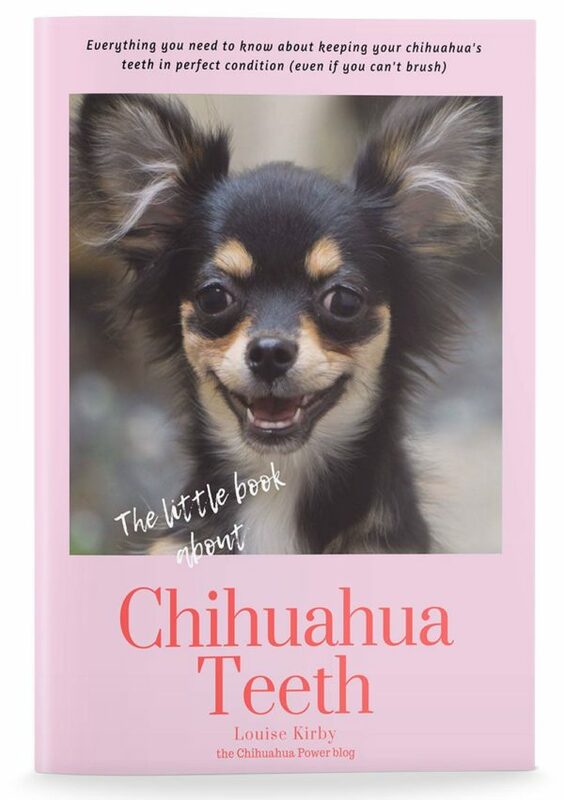 So again, it depends on the personality of your chihuahua. How many words does your dog understand? We all talk to our dogs, tell them goodbye when we go out, explain at length why we are leaving them but they follow little of what you are saying. They understand about 165 spoken words. The obvious ones in our house are: walkies, nummies, bed, wait, this way. What they are extremely good at is reading visual clues and picking up on your body language. This is what makes them appear contrite when they have peed in the house or done something you don’t like. It’s not because they are sorry, they are just picking up a change in your body language and it worries them. They then adopt an appeasement stance because they have learnt that is what it takes to diffuse the situation. I am not sure we can really measure how smart a dog is within a human construct. Is a dog that runs into a burning building to rescue someone more or less intelligent than a dog who doesn’t and therefore has a better chance of survival. 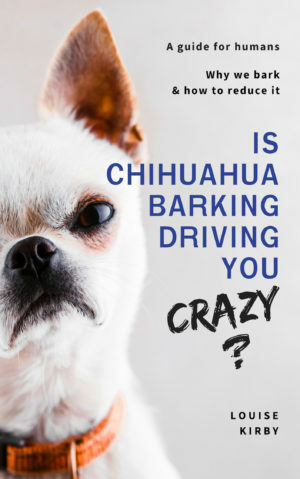 How just how smart is your chihuahua, has he learnt any special tricks we love to get your feedback? Previous Post Leptospirosis in dogs: what is it and should we be vaccinating against it? Next Post Has your chihuahua got you licked? My sweet little girl cha cha is going blind, she has diabetes, but she has taught herself that when the gate is latched she doesn’t try to open it, but if it’s not latched, she will open it and go out into the rest of the house. The latch is velcro and it’s down by her nose ,so that she can see it.